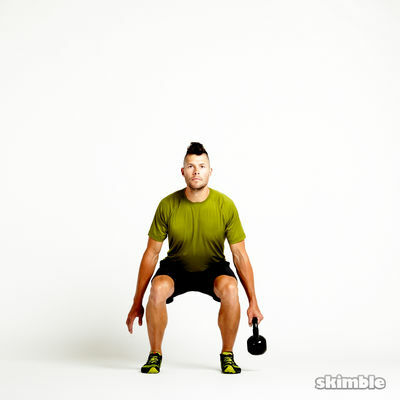 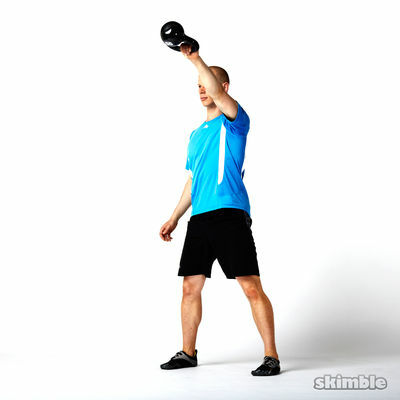 Stand with your feet hip-width apart with right hand holding a kettlebell upside down at the handle with a crush grip.  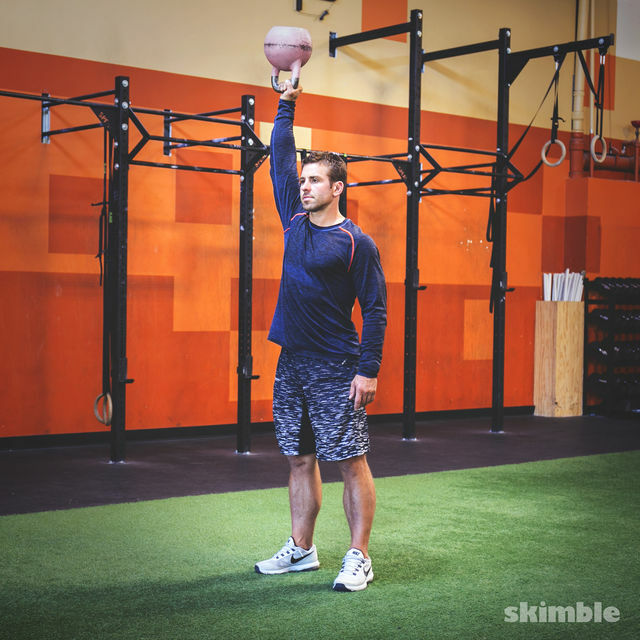 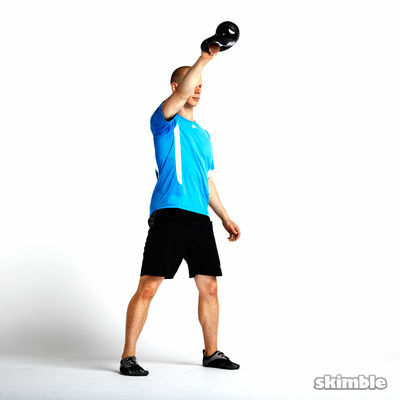 Press the kettlebell up and extend your arm up overhead. 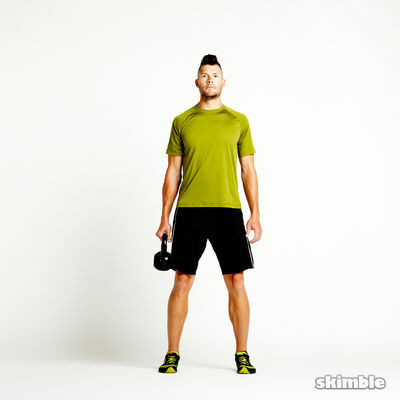 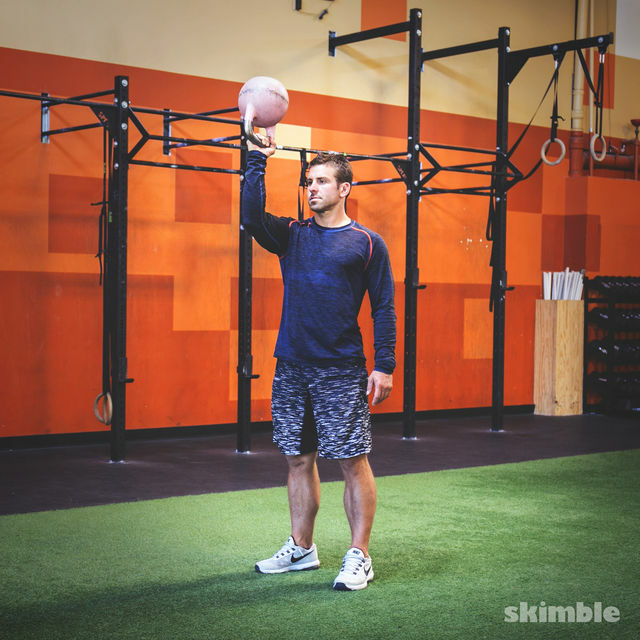 Keep the kettlebell stable and under control throughout the entire set.